Hand-made from pure copper to last a lifetime. 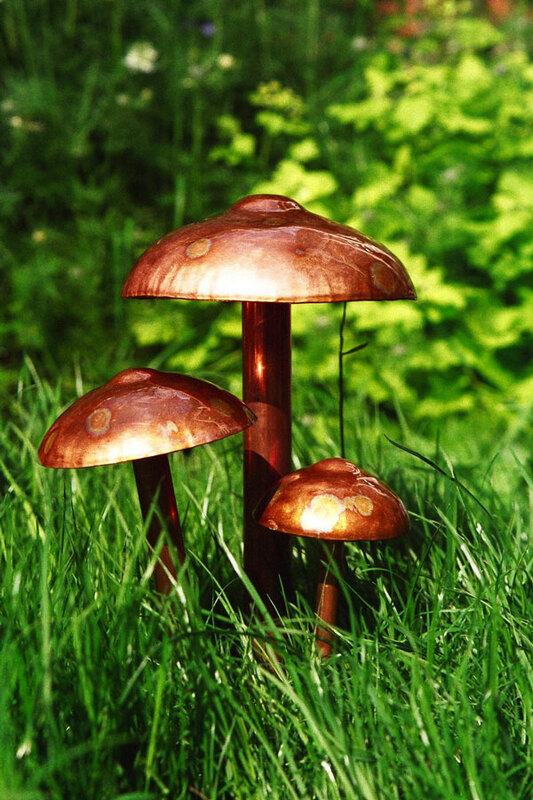 These charming copper toadstools are sure to attract the Fairies into your garden. 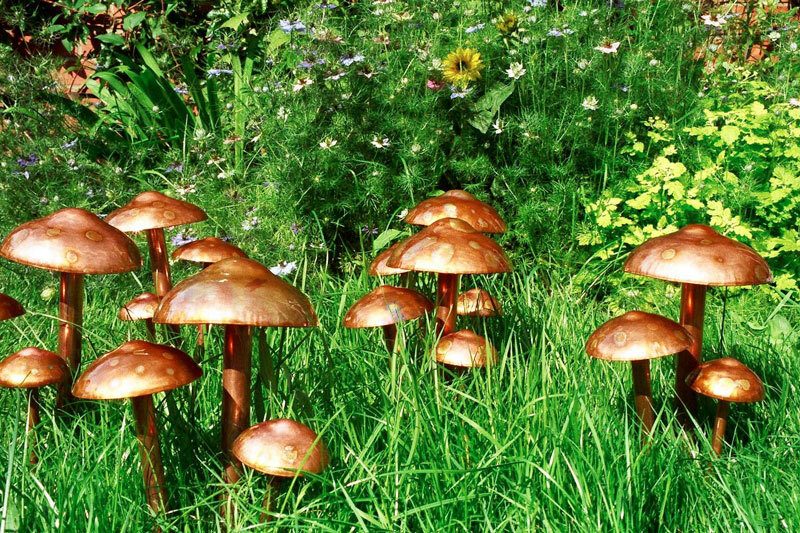 The copper toadstools come as a set of three and are left natural, so the copper will oxidise and change over the years. Eventually verdi-gris green will develop to further enhance the appearance and allows them to blend perfectly into your garden.